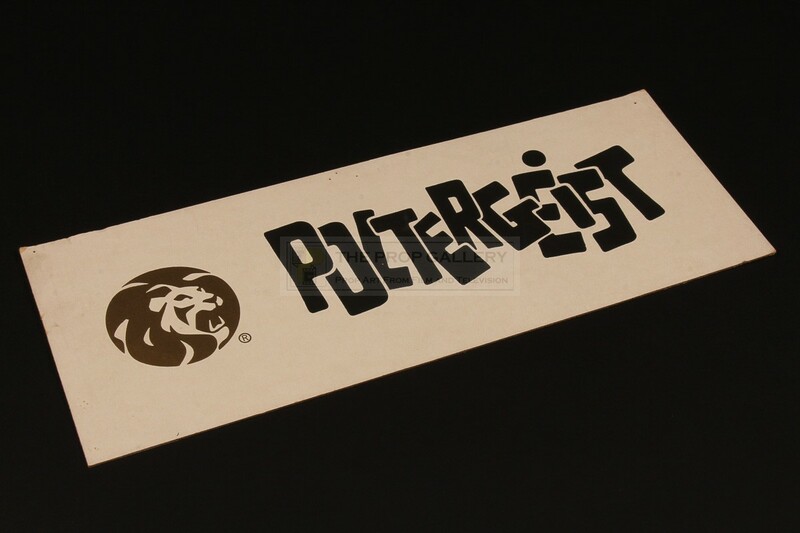 An original crew parking pass from the production of Poltergeist, the 1982 supernatural horror produced by Steven Spielberg. 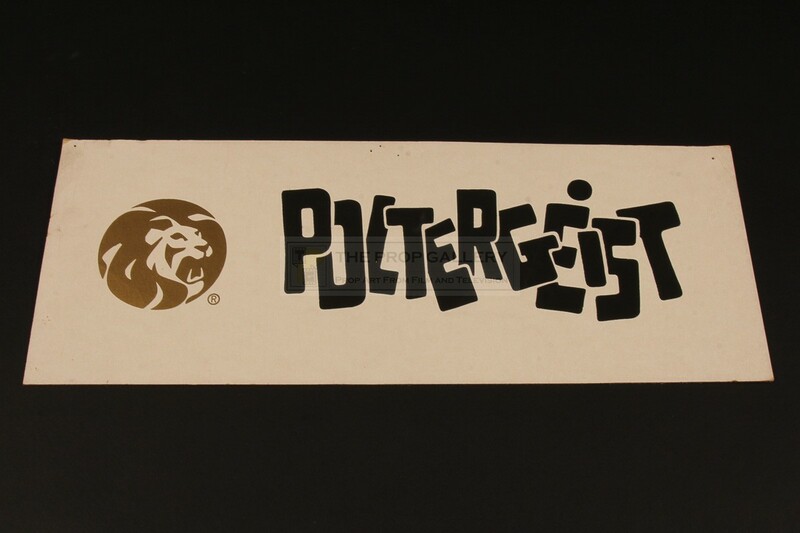 Parking passes such as this were issued to crew members for use during the production of the movie, printed on quality mount board the pass features the title of the movie in black writing and the 'Stylized Lion' version of the Metro-Goldwyn-Mayor logo in gold. 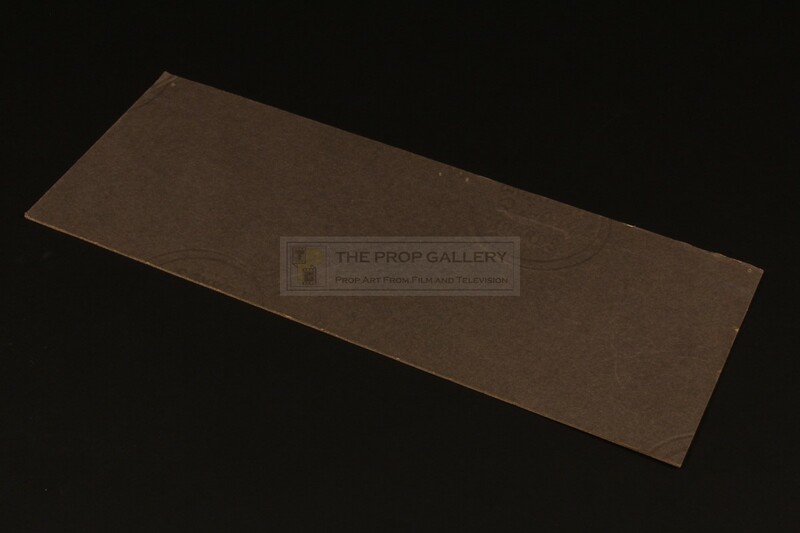 The pass measures approximately 14" x 5.5" and remains in generally excellent condition with some minor edge wear and pinholes, overall fine. A displayable and affordable production artefact from this highly regarded classic of the horror genre.